NON LATEX dog grooming bands for making topknots or hairbows. 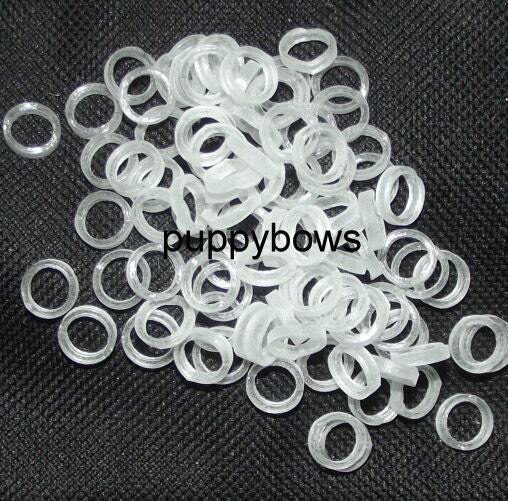 This listing is for the clear/white looking NON latex in sizes 1/8"-3/8"
1/8 micro (2.5) would be a 1/8" width across the center and a light/thin thickness of 2.5 strength. 1/8 micro (4.5) would be a 1/8" width across the center and a medium thickness of 4.5 strength. 1/8 micro (6.5) would be a 1/8" width across the center and a heavy thickness of 6.5 strength. 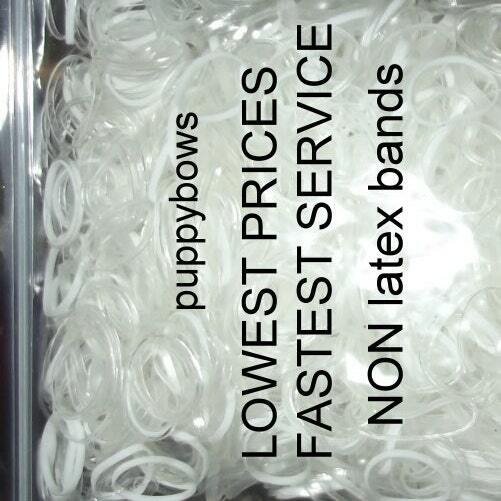 I also have listings for the latex and the NEON. I also have larger quantities available up to bags in 100,000 bulk. 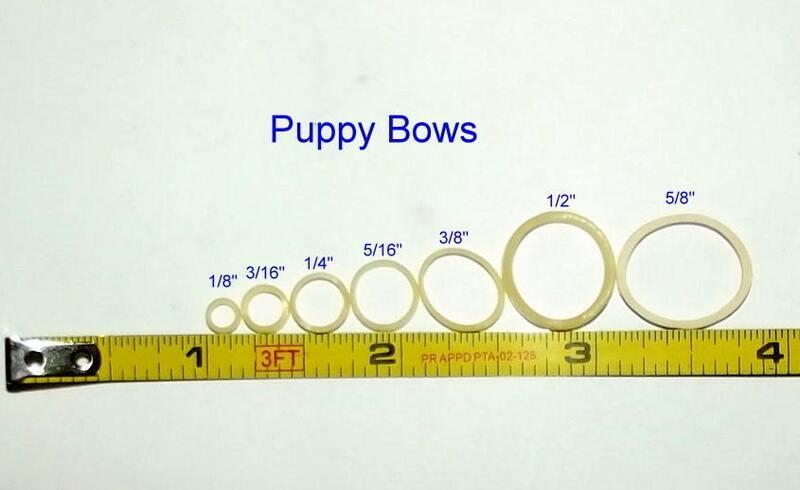 I would suggest if you are making dog bows that you order the 5/16" heavy or the 3/8" heavy LATEX only. You can make hairbows with non latex, but you cannot use a glue gun on non latex. I can give a suggestion for other crafts, but make no guarantees that the size you purchase will work for your craft or project. Love these rubber bands. Use them to make bows for the dogs at work and they hold amazingly. Will admit I’ve had to use them a few time to hold my ringlets back at work. That in itself is a great test of their strength. Any other bands I’ve attempted have popped within 30 min. These last all day and I can still reuse if I need to.